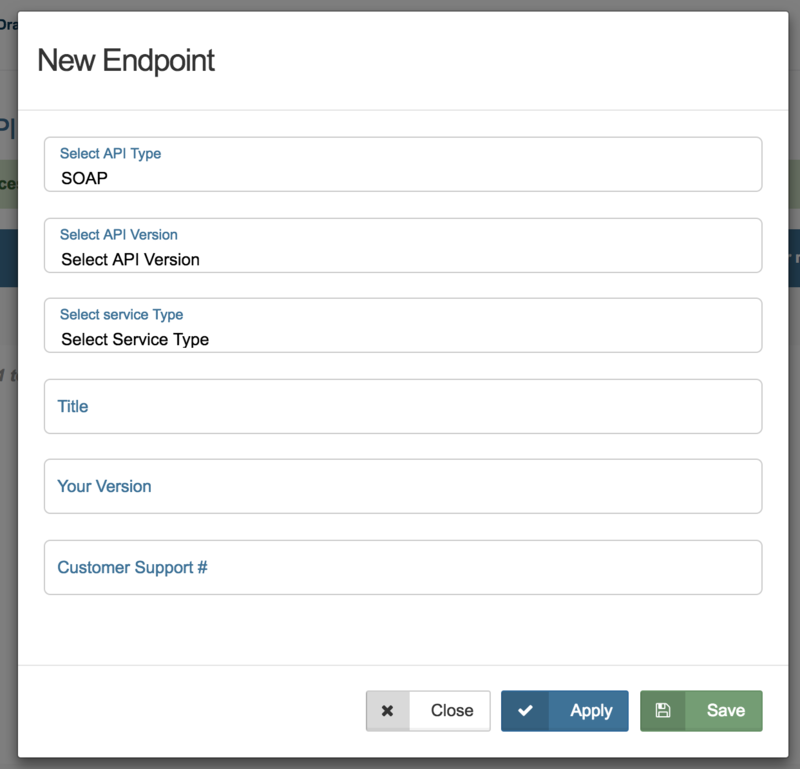 The endpoints section allows you to self register endpoints for SOAP or REST API. 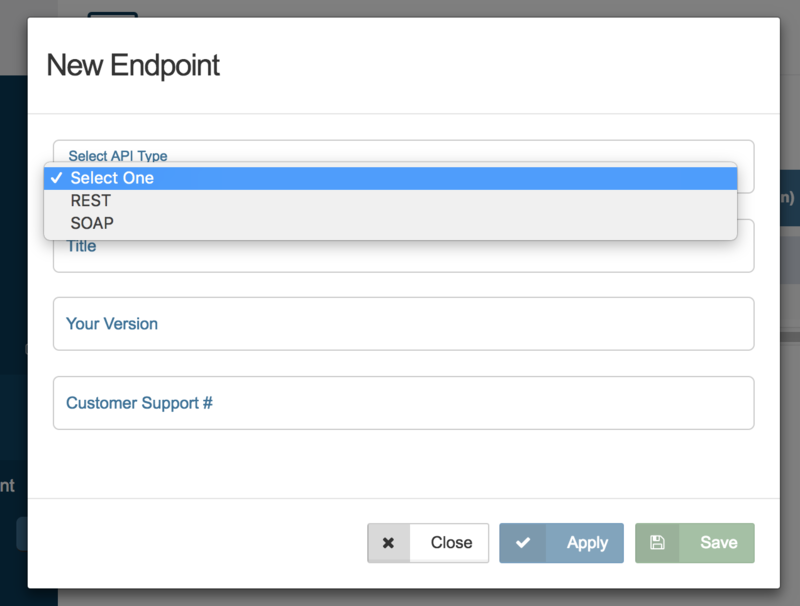 To create a new endpoint, click New Endpoint. 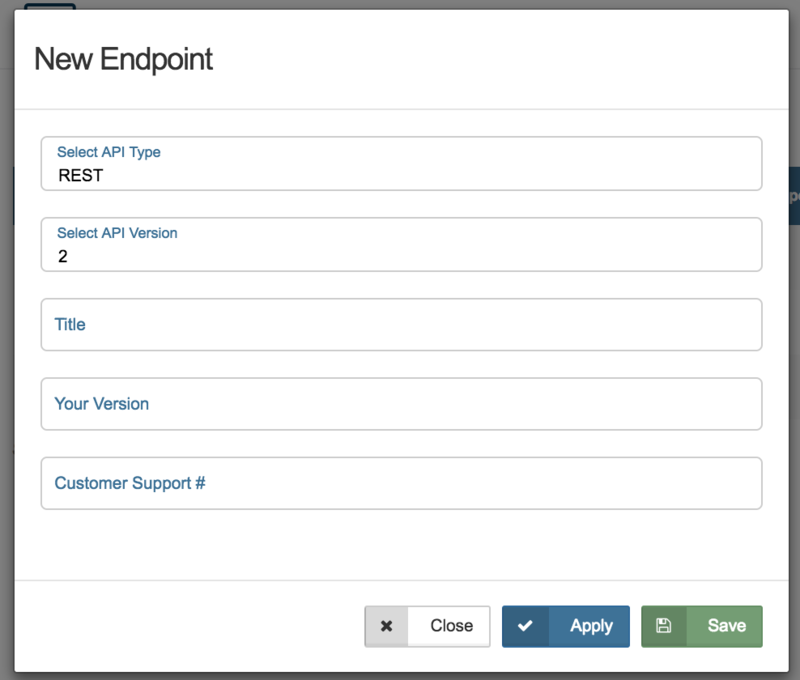 Before adding further detail, you will have to select SOAP or REST depending on the endpoint type you are registering. Below are the fields required for SOAP endpoints. All fields can contain a maximum of 32 characters. Below are the fields required for REST endpoints. Click Save to save the endpoint. You can click each endpoint to edit information and see further detail.